Background screening has grown in importance as employers seek to confirm the credentials of potential new hires. It is equally important for employers to verify whether job candidates are legally eligible to work in this country. The Immigration Reform and Control Act of 1986 requires employers to follow certain requirements to confirm the employment eligibility of every employee. Employers are subject to penalties for hiring and continuing to employ aliens who are not authorized to work in the United States. Employers must verify that every person hired is either a U.S. citizen, permanent resident or foreign national with authorization to work in the United States. To meet the law’s employment verification requirements, all employees are required to complete Form I-9, the Employment Eligibility Verification form. Employers who disregard or fail to understand I-9 issues are faced with onerous fines and possible civil or criminal penalties. Until recently, the road to substantiating whether an employee is authorized for employment was long and arduous and paved with paperwork. E-Verify is an Internet-based system operated by the Department of Homeland Security through the U.S. Citizenship and Immigration Services and the Social Security Administration that electronically verifies the employment eligibility of newly hired employees by verifying I-9 information against DHS and SSA databases. E-Verify is a paperless process that greatly reduces turnaround times, reduces chance of error and offers easyto- access online updates. The antiquated I-9 audit process involved the candidate faxing a handwritten I-9 form to the employer or screening company, which is then faxed to the government for verification. The new I-9 electronic verification process expedites and simplifies the screening process. How do illegal immigrants obtain employment? Some employers hide the employment of illegal aliens from the government. Often, the employer makes no public record of the employee and does not file a W-4 withholding form, pay FICA taxes or send a W-2 statement to the government. Some illegal aliens use a fictitious Social Security number while presenting false documents to the employer that demonstrate they are a lawful immigrant or a U.S. citizen. These documents include date of birth, Social Security number and name that are either partially or completely fictitious. The employer records this fabricated information on the I-9, but without a verification process, this information goes unchecked, and the employer is none the wiser. With the availability of E-Verify, fraudulent Social Security numbers will become apparent immediately. Some illegal aliens engage in identity fraud and present identification documents that corresponds to the identity of a real U.S. citizen. 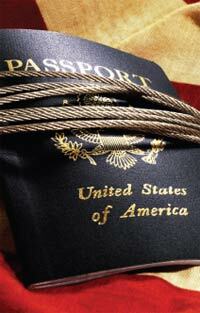 The advent of E-Verify will weed out employees engaged in identity fraud. Whether an employer uses a background screening company or investigates independently, the best way to avoid immigration law pitfalls is to set up a comprehensive I-9 audit system. I-9 audits should evaluate the employer’s current compliance procedures with respect to obtaining, completing and retaining I-9 forms. I-9s should be compared to a tracking form listing all present and past employees to ensure that the verification process was complied with. Deficiencies in specific forms should be corrected and procedures enacted to ensure future compliance. Electronic I-9 services offer employers the ability to quickly ensure their work force is legally sanctioned to work in the United States and improves the efficiency of the older paper-driven I-9 process while substantially decreasing the number of human errors. Tax and payroll reporting are more accurate, and governmental inquiries concerning unmatched Social Security accounts are eliminated. A company’s exposure to financial penalties and government audits is effectively reduced. Qualified background check companies employ sophisticated systems and processes along with easy-touse online interfaces that are customized for client needs and integrated into human resources workflows. While some companies depend on their human resources staff solely for I-9 compliance, more companies partner with sophisticated background check companies that can offer a single-source solution for all employment and background screening. The bottom line is when you are hiring new employees— whether U.S. citizens or alien residents—it is vital to engage in comprehensive due diligence to ensure you are welcoming law-abiding and trustworthy people into an organization.